To teach young athletes the basic aspects of ice hockey through an established curriculum based program. Our coaches strive to help each player develop a lifelong interest in the sport while focusing on player development and skill progression. This program meets twice per week on the following Thursdays and Saturdays for on-ice instruction and gameplay. Full Equipment: HECC certified helmet w/ full face protection, mouth guard, shoulder pads, elbow pads, hockey gloves, protective cup, hockey pants, shin guards, ice hockey skates and ice hockey stick. Prerequisite: Learn To Skate Basic 2 skating level. Native to the area, Kevin brings eight plus years of coaching experience. He has worked for some of the nations top hockey development programs including Pro Ambitions, Future Pro, and Pro crease. He has also been involved in goaltending development for various youth programs in the area such as the Westchester Express, NJ Rockets, and NJ Penguins. During his playing days, Kevin played high level youth hockey with Kent Prep School and New York Applecore’s Junior A program. He was also a two time participant of the Warren Strelow National Goaltending Camp, which is a select invite-only camp made up of the top goaltenders in each age group eligible for international play. Kevin has a Bachelor of Arts in Economics from Rutgers University- NB and strives to help the development of youth players at Protec Ponds. Questions or concerns? Contact our Hockey Academy Director by calling 732-868-9181 x108 or emailing robc@protecponds.com. Please note that all registrations done in person, over the phone, or online are non-refundable. If you do have an issue that may keep you from attending any programs you have previously registered for, please contact us at 732-868-9181. 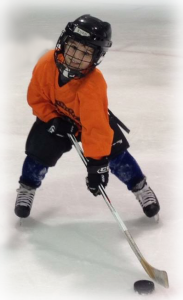 Eager to get into hockey, but don’t have the proper skating skills? Check out our learn to skate program!